What’s New at Canyon Coolers for April 2017! 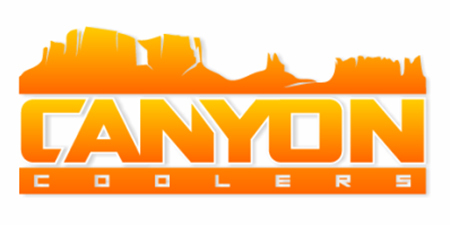 Canyon Coolers®, the company renown in the outdoor industry for incredibly tough and functional coolers, is excited to announce new colors now available for select models. Lime Green and Teal will now be options when purchasing three cooler sizes in the company’s best-selling Outfitter Series, and two cooler models in its ultra-rugged Adventure Series. 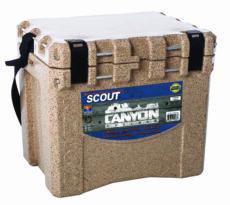 Campers, anglers, hunters and other outdoor enthusiasts alike know when you want to keep drinks and food cold – and, we mean ridiculously cold – you use a Canyon Cooler, period. 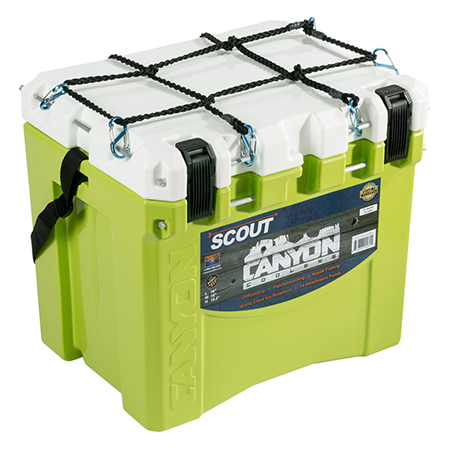 With a wide selection of designs and sizes created for a variety of uses, Canyon Coolers are quite literally the best in class when it comes to keeping your provisions cold over the course of a multi-day or even multi-week trip. 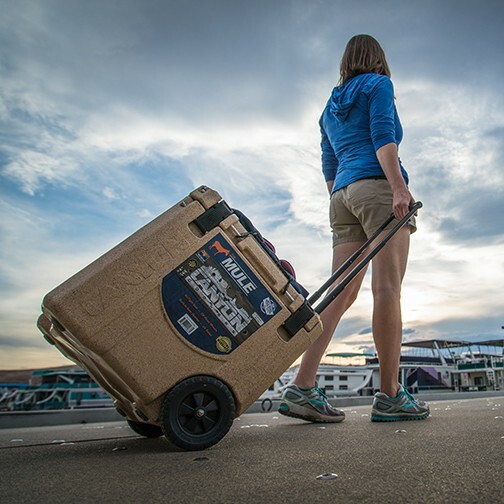 This combined with the coolers’ unmatched durability make Canyon Cooler products must-haves for any outdoor expedition. New Lime Green and Teal colors are now available in the Outfitter 55, Outfitter 22 and Outfitter 35 – three different sizes for whatever your need. All three coolers are built tough and created specifically for long-lasting ice retention and a snug fit wherever you need to put them. Constructed as one-piece, the coolers boast a level of integrity and toughness that is hard to equal. All three are constructed of food-grade, UV resistant kayak plastic and have won numerous awards for their streamlined design. All three coolers in the company’s new Adventure Series will also be available in the new Lime Green and Teal colors including the Prospector 103, the new-for-2017 Scout 22 and the company’s first wheeled cooler, the Mule (limited Lime Green and Teal quantities available). The 103-quart Prospector not only holds a ton, but is designed to be thrown over any rail or roll bar with 18-inch spacing and kept in place via six built-in tie down slots. 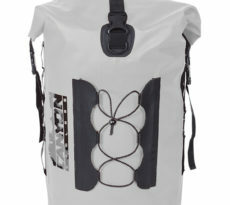 The cooler also accommodates over and under straps to ensure a snug and secure fit. The cooler’s unique customizable interior sets it apart from others where four tiered baskets can be organized in just about any configuration you need. Drop a basket on the internal lower lip and load it full of food or drinks. Lift and rotate the basket and it perfectly fits an upper lip. Two different divider slots let you segment different compartments. The new 22-quart Scout is small but mighty for when you need to keep things cold but don’t want to lug something large around. Small enough to be carried over the shoulder with a comfortable shoulder strap when full, the cooler has extra thick 1.5 inch insulated walls to ensure extreme ice retention. Featuring marine grade aluminum hinges and fourteen integrated marine grade aluminum tie down points that double as mounting points for the innovative Bungee Net System, Canyon Coolers have thought of it all when it comes to this cooler. 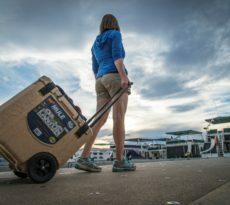 The new Mule 30-quart cube is the most insulated cooler of its size, and features two heavy-duty wheels and a telescoping metal handle making it a breeze to transport. The Mule also has eight secure tie-down points, the Bungee Net System (which keeps loose items close at hand), two built-in cup holders, an included basket and a built-in bottle opener. Design has always been paramount at Canyon Coolers. All coolers are streamlined with EZCAM latches and drain plugs that don’t protrude. Recessed and squared off edges mean a tighter fit with no wasted space in your car or truck bed. All new coolers available in Teal and Lime Green are IGBC Bear Resistant, which means you rest easy knowing no creature is going to be able to meddle with your food and drink. All coolers are backed by a lifetime warranty. Canyon Coolers is a manufacturer renown for creating ridiculously cold, seriously tough coolers that keep food and beverages cold for not just days, but weeks. Developed for river rafters venturing on multiple day trips, the company has developed and enhanced seals, latches and other innovations while maintaining heavy-duty durability and insulating capabilities. 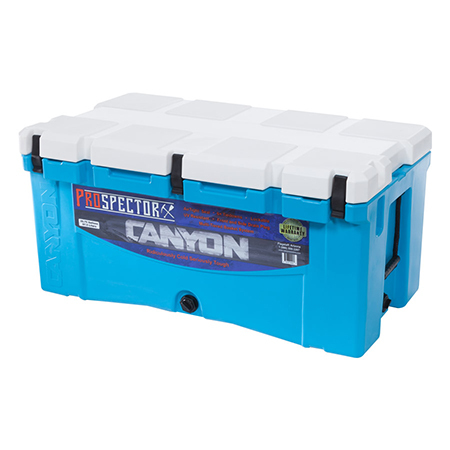 Today, Canyon Coolers are regularly used by hunters, anglers, rafters, outdoor enthusiasts — and essentially anyone whose adventures are fueled by seriously cold refreshments.